In a stunning move that targets the poor, the Obama administration is pushing hard to privatize our nation’s 1.2 million public housing units, in addition to proposing a radical change to the way 13 major federal subsidized housing programs, including the Section 8 voucher program, are being funded by Congress. HUD assists over 4.5 million low-income residents in the nation’s housing programs. The Department of Housing and Urban Development (HUD) has submitted legislation to Congress known as the “Transforming Rental Assistance” (TRA) initiative, under a policy proposal called the Preservation, Enhancement and Transformation of Rental Assistance Act of 2010 (PETRA). If enacted as proposed, HUD’s proposal would allow over 3,000 public housing agencies to privatize around 1.2 million public housing units across the nation, and HUD’s additional 13 federal subsidized housing programs would all be converted into one huge new hybrid program, subsidized through only one funding source. Currently, public housing and each of the 13 federal housing programs including the Section 8 voucher program, has its own budget and funding stream allotted every year by Congress. The separate funding streams help to ensure that the money reaches those it was intended to serve. But under TRA, with the funding streams for all subsidized housing programs combined into one huge slush fund, the public would not be able to determine whether future funding shortfalls would affect AIDS patients, the elderly, the chronically ill, the disabled or other low-income households in the programs. Additionally, under HUD’s TRA proposal, public housing residents would be placed at risk of displacement and homelessness because public housing would become privatized and would no longer receive federal funding from Congress for capital improvements and operating costs. Instead, under TRA, the newly privatized units would rely on higher than market rate rents that will be subsidized by taxpayers through the Section 8 program. The funds being grabbed from the poor in the Section 8 program that will be used for the public housing privatization scheme will leverage financing for building improvements from lending institutions and banks. 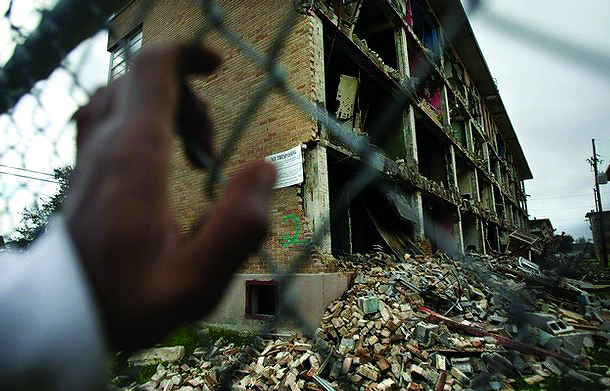 If enacted as proposed, the TRA proposal would drain much needed funding from the poor in the Section 8 program, causing Section 8 tenants to pay higher rents, and would place the nation’s 1.2 million units of public housing at risk of foreclosure when funding shortfalls occur in the Section 8 program, which has happened quite often through the years. Currently, 10,000 Section 8 voucher holders are at risk of losing their vouchers in New York City, due to funding shortfalls in their program. You can help by signing a petition in opposition to TRA at http://www.gopetition.com/petitions/save-public-housing.html. do away with public housing mooches who have been generational habitants, whose children wreak havoc, and who they do not make go to school. To get public housing should have time limit, should have requirement that children are in school and performing, and the untrained parents (young, middle age etc, be trained and perform during the training and get assistance with getting a job. There should get rid of the HUD regulation that allows many to get by with 0 (zero) income and the authorities to have to cut checks and pay them to live their. The HUD rule about not counting remainder of grants (Pell Grants etc) not being counted as income after deduction if the adult children are living in the home needs to cease too. As does only count $480.00 of these same adults income (from work). Many driving mercedes, range rovers, etc. many signing up for school to get the grants but then quiting afterward and the Government not making them pay a penny of it back. I'm sick and tired of Washington and those who are suppose to be representing. 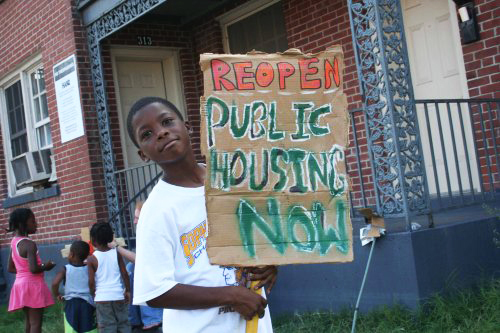 GET RID OF HUD, PUBLIC HOUSING (Permanent Tenants) and give those on the waiting list a chance. Come up with some program for working people who have not had the dream of owning a home the opportunity.